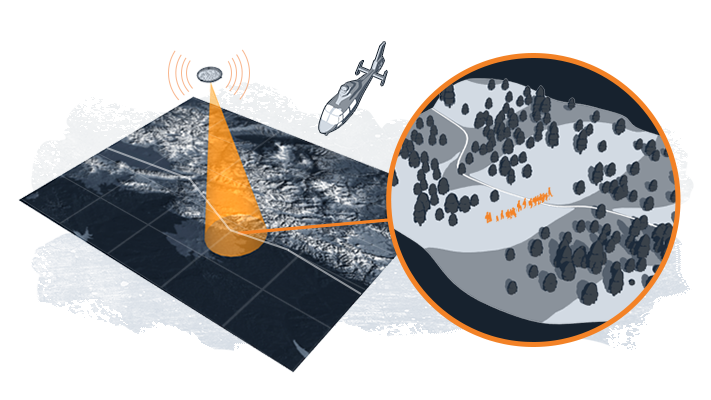 The HiperSfera System for Maritime and Land Border Surveillance provides persistent total domain awareness for arbitrarily large area of interest. HiperSfera System provides unmatched border security in an affordable turn-key solution, which can be seamlessly integrated into existing border security system. Numerous state borders are under pressure from immigrants, refugees, smuglers and terrorists. Fencing solutions are neither practical, humane or cost effective; nor can they guarantee protection along a whole border. Traditional aerial manned and unmanned surveillance solutions do not have the technical means, and are not financially viable in providing adequate service over the required area. Alternatively, a fleet of HiperSfera Border unmanned airships is constantly patrolling along the border, providing cost-effective real-time total situational awareness for arbitrarily long land or maritime borders. A fleet of unmanned airships is coordinated in patrolling along an area of interest (i.e. 1,000 km long border line). With typical airship range of 4,000 km, very few strategically placed resupply bases (red blocks on the image) are required. The HiperSfera system for continuous surveillance is comprised of a MALE UAS – unmanned aerial system with extended endurance (24 to 100 hours of continuous flight, depending on the environmental conditions), of an ultra-high resolution multi-sensor surveillance payload, and of the communication and ground infrastructure required for processing data and providing field information and communication in real time. HiperSfera airship flies at 2 do 5 km above sea level during one to four days, and simultaneously covers from 40 to 230 square kilometers of terrain with ultra-high-resolution electro-optical and thermal sensors, providing 24-hour information on the situation on the ground, regardless of the local visibility conditions (clouds, darkness). HiperSfera Border UAS can further be adapted to specific client requirements and accommodate integration of other surveillance sensors, e.g. mSAR, a hyperspectral camera, LIDAR, etc., in order to provide additional layers of real-time Geo-mapped situational awareness. The HiperSfera airship is a robust and reliable system, in which all flight-critical subsystems have redundant components. The HiperSfera airship uses modular design, thus components in need of repair can quickly be replaced with functioning ones, making the aircraft flight-ready within a couple of hours. This guarantees that more than 50% of the total time will be spent in the operative mission, i.e. more than 4,400 airborne hours per year. Combining efficient fleet operations, with advanced airship characteristics, and low workforce requirements, operating HiperSfera Border UAS costs significantly less than other unmanned or manned systems, with the airship per-flight-hour cost of as low as US$200, assuming optimal fleet operations. The HiperSfera Border UAS supports a wide variety of continuous surveillance missions, and is at the same time less expensive to use than any existing equivalent solution, based either on unmanned or manned aircraft, or just on the ground surveillance infrastructure. Fleet Operations Concept for HiperSfera Border Surveillance. HiperSfera Border Surveillance System combines monitoring of large area with deep situational awareness, to provide market-leading border surveillance performance and cost-efficiency. 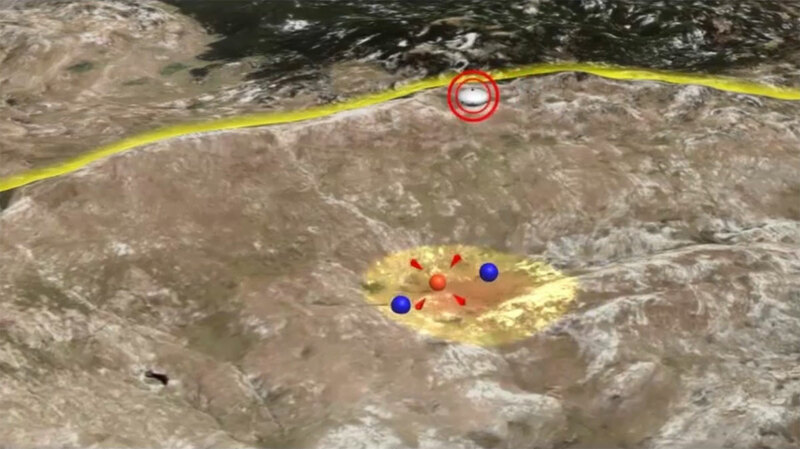 An encrypted communication system for data transfer enables inspection of the visual situation of the surveilled terrain from the Operational Center (of any other location of interest) in real time. It also establishes secure voice and data links to the field operatives. Flying in a cruise mode, HS airship has a range of around 1,000 km per day (for four days). Every airship records terrain below itself in a swath of 5 to 17 kilometers, depending on the current airship altitude and terrain configuration. This means that one airship covers from 5,000 to 17,000 km2 of terrain daily. Coverage is done with an average image resolution of down to 3 cm/px. Optical and mIR (thermal) images are transferred to the optical cable through point-to-point secure link, and further to the central database. Images are then processed into metadata, analyzed and visualized. This process makes the situation in the field available online, with a delay of just a few seconds. HS Border Surveillance system incorporates infrastructure required to process, analyze and visualize enormous amounts of time-critical data, acquired by the Border fleet payload suites. The complete communication data-chain is run over an encrypted line. Generation and usage of the encryption keys is a process under complete control of the service user. The surveillance fleet is managed from a main OPS Center. 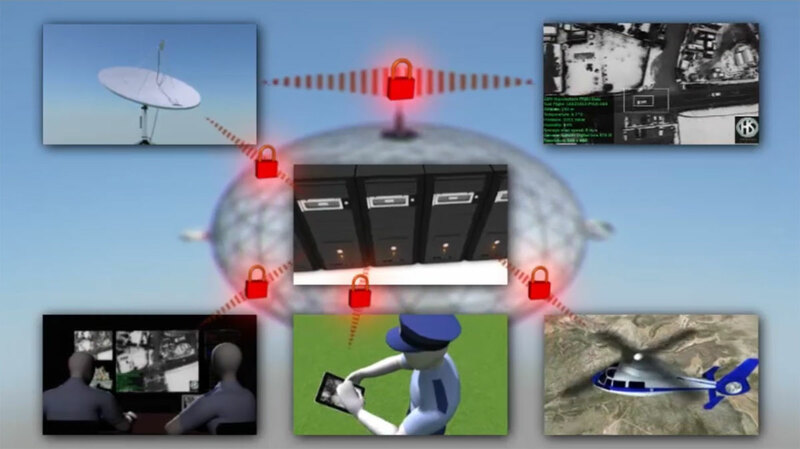 The operator can control the behavior of the entire UAV fleet and/or of the every individual airship. In case a subject of interest is detected, the Operator is automatically notified, and the airship’s flight plan can be modified in-flight, with the airship UAV following the subject for as long as desired. Meanwhile, the reminder of the fleet adjusts its flight plan accordingly, in order to close the surveillance gap opened by the airship in pursuit. After the situation has been resolved, the said airship continues along its original flight plan as part of the UAV sentry fleet. HS airship UAV tracking the detected and identified threat, providing situational awareness to border guards handling the situation in the field.